My name is Matt. I am a 39 year old, father of 2 boys and I’ve been serving in the USAF for the last 18 years. Did you have an athletic background growing up? I tried. Team sports weren’t my thing. I wasn’t very coordinated. I got into fitness later in life. I found endurance events were more my speed. We paid tribute to the Battlin’ Bastards of Bataan with GORUCK Heavy, Tough and Light done over the weekend of April 6-8. They ran events around the country. This one was in Tampa, FL. I’m not at ease in the water. “Rocking Chairs” and a lot of the exercises performed in the ocean had me a little shaken at times. What felt like it was the easiest? Moving under weight. I had trained for lots of miles over and over again. Seeing how this was the “Death March” I could see that this event was going to be very ruckmarch intensive. Was there a moment you felt like quitting? How did you talk yourself out of it? 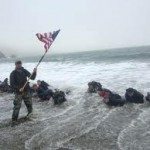 The last time I did an HTL (Heavy/Tough/Light—a GORUCK event where all three are done back-to-back) I felt the worst in the middle of the Tough. It’s the second night and you’ve had no sleep and you’re exhausted. I put a lot of time trying to figure out how to keep that from happening again. I put all my focus on making that feeling be small. It’s amazing what some mental toughness can impact. Nutrition and staying out of my head played big in that. How did you stay motivated throughout the event? This HTL had 11 members. When the Tough event came there were only 2 or 3 new participants so we didn’t have that many fresh bodies to help. We all had to dig deep. It became about not leaving any teammate out to dry. If one gave up, it would impact the others. What equipment did you use for the three parts? Light: Under Armour shorts, Hylete compression shorts, Under Armour socks, Altra Lone Peak Trail Running shoes. SealGrinderPT has never done me wrong. It completely changed my thinking about what amount of work is too much. My work capacity has grown so much since being an SGPT member starting early last year. I also added in a lot of Ruck based PT – Bear Crawls, Overhead Presses, Ruck overhead flutter kicks, rucked burpees, mountain climbers, and 8 counts. Lots of miles spent under the ruck. Lots of 12 mile timed rucks, a couple 20 milers and a marathon distance ruck. I should have spent a couple miles each week under an 80lb or greater sandbag. We had a few of those during the event that just became crushing after a while. More training could have extended the duration between failure on those. How did you recover afterwards? Lots of food, water and a couple beers, haha. Tried to get back moving again as soon as possible. Stretched out and foam rolled the day after and then the next day did a 4 mile run and more stretching and by Thursday was back into a normal (maybe a little light) workout routine. Any tips for someone wanting to train for and enter a GORUCK event? Stay out of your head. Train with everything you have. Sometimes it’s hard to put the right intensity into your workouts if you train alone. Find a buddy. Make it somebody that pushes you, if not, motivates you to compete against them. I want to get to Jacksonville or Montana for one of the SGPT Freak Frog events. Also, running my first Ultra distance trail run in October. Just finished Extreme Ownership by Jocko Willink. Next is Lone Survivor by Marcus Luttrell. All these books remind us that everything could “always be worse”! GET STARTED! CLICK HERE or on the banner above! QUESTION: Coach, do you have any training tips for GORUCK? 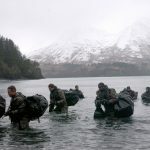 ANSWER: Yes, check out this article: GORUCK Training Tips and Workout Plan for Easy Preparation. QUESTION: Do you have any backpacks you recommend for a GORUCK event? ANSWER: Yes, here is an article with our favorites: Top 10 Backpacks for the GORUCK Event. 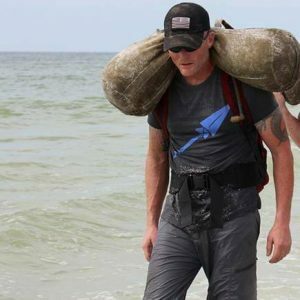 And if you are looking for a military discount on GORUCK, we’ve got you covered!